The look you’ve always wanted, and a beauty regimen that’s easier and simpler than ever. Vanity Lash Lounge is your microblading haute couture salon! Microblading, also known as eyebrow embroidery or eyebrow feathering, is a minimally invasive cosmetic procedure that works by pressing a semi-permanent pigment into the superficial dermis of the skin. This is done with a disposable micro-blade, which in turn creates hair strokes that imitate the pattern of your natural eyebrow hair. The pigment mimics the growth of your existing eyebrow hair to create bolder, natural-looking brows. Our expert brow stylists will help you achieve the look you have always wanted while allowing you to reduce task time on your daily makeup beauty routine. You will save time and money normally spent on products such as eyebrow pencils, gels and brushes. You can forget about worrying if your drawn-on brows will disappear when you sweat or go swimming. Microblading has the potential to be a life changing experience. Everyone has the potential to benefit from this procedure! Many people think that microblading is only for those with sparse, overplucked or absent eyebrows. Although these are great reasons to have microblading done, if you have contemplated plastic surgery such as an eye lift, perhaps you should try microblading first. One of the biggest benefits of this procedure is that it will add shape, structure and enhancement, giving you symmetry and instilling youth and character into your face. First, your stylist will consult with you to get an idea of what your anticipated look will be, including choosing color and shape. Eyebrows are waxed to clean and prep the area, creating a smooth surface and removing unwanted hairs. An outline of the eyebrow is drawn in and upon your approval, you will move on to the next step. Then, a anesthetic cream is applied and left for at least 20 minutes to numb the eyebrow and nose area. After sufficient numbing, a mixture of EU and US certified pigments matching your natural color is inserted into a hand-held tool carrying up to 12 small blades that penetrate the skin, injecting the pigment in brush strokes designed to mimic natural eyebrow hairs. Finally, for the next two weeks vitamin A and D cream is applied two to three times per day. Eyebrows must avoid contact with sweat or water for at least two weeks to avoid infection. This will vary from client to client. It can last from 12-18 months with proper care. If needed, there is a color boost session available 6 months after your treatment to maintain freshness. Medications and face products can change the durability of the pigment. Microblading is a semi-permanent cosmetic that uses hair-thin strokes to provide a client with the optimal shape, color, density, and thickness of brows based on their personal preferences and what is complementary to their face. This provides a very natural look compared to permanent cosmetics and/or tattooing. 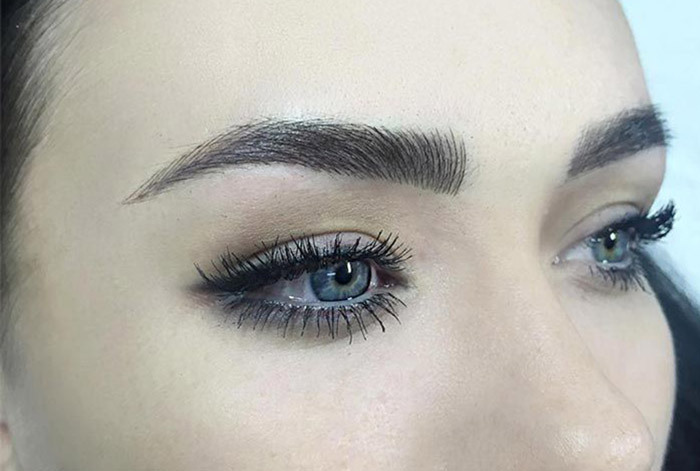 Microblading is for people who wish to enhance, give structure or fill in sparse eyebrows. 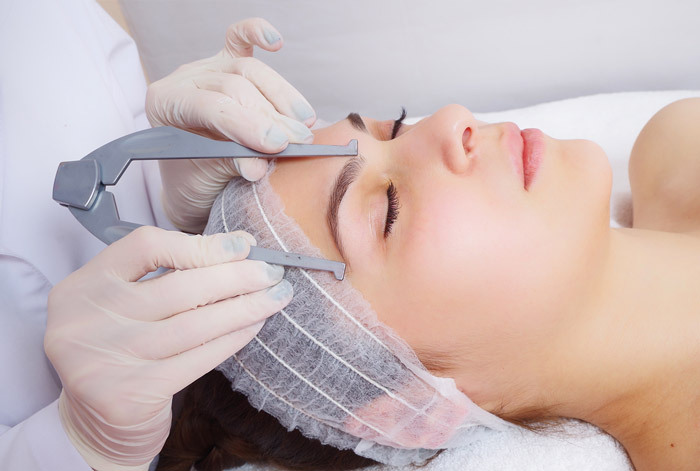 Even though microblading is suitable for most people, there are certain medical conditions that would prohibit us from providing you with this service. At the end of this virtual consultation there is a list of contraindications. If you have any of the listed contraindications, please bring in a note from your doctor allowing you to receive the treatment. If you arrive without a doctor’s note for your procedure, we will not be able to perform the service and you will be responsible for the cost of the reservation. Do's and don'ts before your procedure! You may fill in your brows as you normally do before you come in to your appointment so we can take into consideration the shape you prefer. DO NOT drink alcohol or caffeine or take any blood thinning medications (I.e. Aspirin, Ibuprofen, Niacin, etc.) 24 hours before your procedure. DO NOT get excessive sun or use a tanning bed 14 days before or after your procedure. DO NOT get Botox or Xeomin 14 days before or after your procedure. 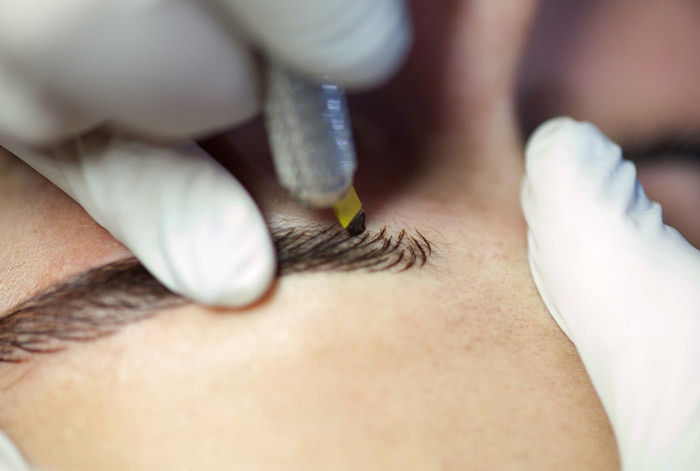 DO NOT get your eyebrows threaded or waxed 7 days before your procedure. DO NOT get a chemical peel or use Retin-A 14 days before or after your procedure. You may experience redness and swelling up to 48 hours following the procedure. Note* In the first 6 weeks, the amount of pigment that you notice fades varies from client to client. You may feel like you are losing too much color; please be advised that the skin regenerates the pigment and the healing process can in some cases hide the strokes completely. You must allow the full healing time of 6 weeks to see the true color. For 10 days apply the balm (we suggest Aquaphor) 2-3 times a day, with a cotton swab. Before each application, cleanse the area with a cotton swab and water. Avoid soaps for 10 days when cleansing your face or showering. For 2 weeks avoid using moisturizer on the microbladed area. This is a short list of common contraindications. If any specific conditions apply to you on or outside of this list, please come prepared with a note from your doctor. We will be unable to provide you with the service if you have come without a doctor’s note and you will be responsible for the cost of the procedure and time allotted. Vanity’s Team would love to meet you and discuss how we can help you look your best! To schedule your microblading procedure, please give us a call at the Edmonds location 425.582.8898.